Okay, now that I've gotten that out of the way, let's dissect this a bit more to try and figure out what went wrong and how you can avoid something similar from happening to you. Yes, it can be that simple. Hear me, if you can't keep your hands off your gun, you need to do something different. Let me re-word that: Don't touch your gun once it's on your body until it's time to take it off before bed or you need to actually use it. Negligent discharges happen, but we should all try to minimize them as much as possible. The chances of your gun “accidentally” going off when you don't expect it to increase whenever you handle your gun. Our team recently put together a huge report after studying 300 negligent discharges, that you should read. To be honest, you should always use a decent holster, as well, that protects your trigger, stays put, and doesn't need to be adjusted. 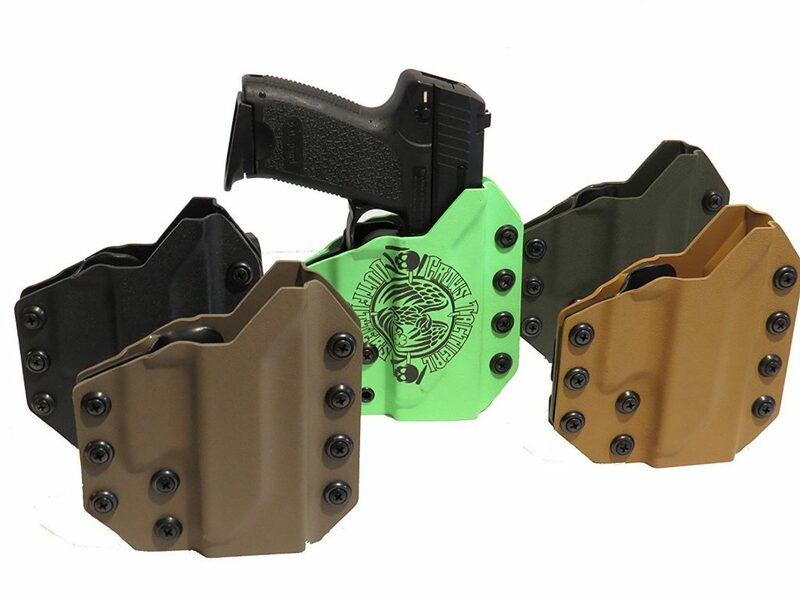 I'd love to tell you that you should just buy our holster because I'm biased and think everyone would benefit from it, but I'm not even about that right now. All I care about is that you own a holster that doesn't need to be adjusted once it's put on and prevents you from doing anything stupid, like shooting some little kid. What makes this particular situation even worse, is the fact that this gentleman has 40 years of law enforcement experience, and was a Sheriff for many years. You'd think that after so many years of handling a firearm he'd have a solid understanding of the basic safety rules, and maybe he did. But, complacency can take over at any point in our lives in anything that we do. I can all but guarantee you that the driver who pissed you off this morning for not putting his turn signal on when he changed lanes used his blinker at some point in his life, like when he first started driving. The difference now, is that he's grown complacent as a driver and doesn't feel as though he needs to let others know that he's turning, when, in fact, he should always signal to others what his intentions are. Firearms handling is no different. We tend to think, well gee … I've never had a negligent discharge before, chances are pretty good that I know what I'm doing and will never have one. Hmm, what's this thing here on my trigger? Yeah, that's dramatic, but it is so you get the point. Never grow complacent in your firearms handling. Because, as we can see in this story, these things do happen even to people with decades of gun experience. The result, as it now seems, is that this retired police officer will be sued for his negligence. It is my sincere hope that we can all learn something from this story. First, don't fidget with your guns. Once they're on your body, they're there until you go to bed at night. Second, make sure you use a good-quality holster that doesn't require you to adjust it once it is on. Finally, never grow complacent with your firearms handling. If you can do this, you'll never have a negligent discharge. What kind of tips do you have for your fellow concealed carriers that help you stay alert and not grow complacent in your gun handling? Let us know in the comments below. Oh, and if you'd like to look at the holster pictured at the top, it's this one. North Dakota: Constitutional Carry Now in Effect! To be ultra safe I treat my CCW double action only 5 shot revolver as a single shot tool – the first shot should count! If I get a second shot, it is my first shot at a second chance, etc., up to four times in succession. I thereby load my 5 shot SW revolver with 4 rounds only, leaving an empty chamber next in line with the cylinder rotation. An “accidental discharge” would have to be the result of a deliberate act which is not accidental . . .
Bob, are you unsure of your abilities or the mechanical safety of the firearm in general? You are significantly reducing your capacity and increasing your response time for no beneficial trade off. Bob, If you don’t trust yourself or the gun that much maybe you should reconsider carrying at all. IMO. Handicapping yourself with 4 available shots before a reload is more than I’d be comfortable with and I only carry a gun with less than 6 as a back-up and even then I have at least one reload for that gun on my person. I say, Capacity trumps caliber and placement beats penetration.